Next week is going to be grueling - early mornings, late nights, long lines, and nefarious human germs lingering on every elevator button and exhibitor booth. (Sorry, but it's true.) Obviously you want to keep yourself in prime physical condition, but Comic-Con is full of attendees who end up missing out on some of the Con because they're ill - or they come home in horrible shape. So here's my usual advice on protecting yourself, mentally and physically. Do everything you can this weekend to relax and catch up on your sleep. I've been working 70-80 hour weeks for a while now and I look and feel like a zombie. If you've been in demand or under the weather, try to get some rest now or SDCC will hit you like a truck. Aspirin, ibuprofen and other painkillers can save your life at SDCC. If you're prone to headaches, the Exhibit Hall volume can do a number on your skull. Your plantar fasciitis can flare up or your hotel pillow can bother your neck. A slipped disc or bad knee can flare into a major issue. And just traveling and heavy restaurant meals can upset your digestion, so bring something for that too. If you've had any kind of recent trouble like a sprained ankle, pulled muscle or an injured shoulder, I would recommend bringing any wraps, braces and muscle ointment you can. Even if you feel okay now, sitting or standing in line for long periods can be difficult. Lots of people bring small fold-up stools or even air hammocks to make their line waits more comfortable. And if you can, bring your own pillows so the terrible hotel ones don't give you a stiff neck. #4. Get assistance if you need it. CCI provides a wealth of resources to help out attendees who need it. This includes rest areas, private areas for nursing mothers, a first aid team, wheelchairs, ASL interpreters and special seating for large events. If you have mobility issues or any other circumstance that could benefit from a helping hand, go ahead and ask for it. 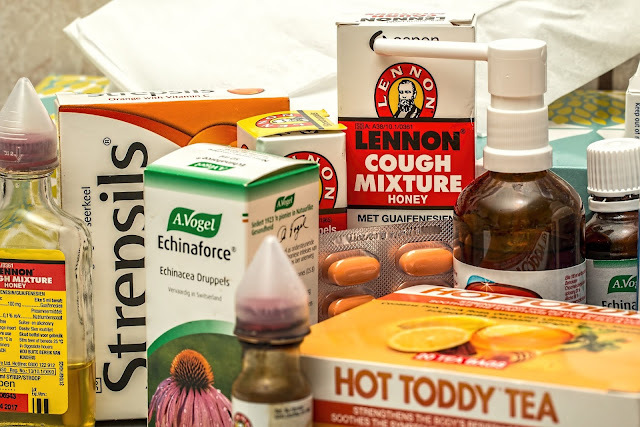 If you pick up colds and viruses easily, practice whatever faux-medical juju you normally do through echinacea, bee pollen, Emergen-C, a B-12 shot, etc. I've never gotten sick from the Con but other people swear that Con Crud is real. And you will be touching escalator railings, book covers, photo op props and other surfaces recently contaminated by dozens or hundreds of others. Some people like to eat lightly at SDCC; others feel powered by eating luxurious monster meals. In general, try to eat well. Don't skip a lot of meals. Don't live off a box of donuts in your room. You're going to undergo a physically draining and sometimes emotionally frustrating experience, so set yourself up to be energized and in a good mood. I eat a lavish breakfast every morning and carry apples with me because I never know when I'm going to get trapped (or invited somewhere) and need to skip my next meal. Con-going is thirsty work. And buying bottled water on site adds up fast. Bring enough water to get you through the lines and the exertion. As a hiker I follow the "If you're halfway through your water, you're halfway through your hike" rule; consider the same for SDCC and monitor how fast your water goes your first day. You'll understand how much more you need the next day. #8. Don't overdo the hedonism. Obviously people like to party at SDCC. They like big ticketed parties, private hotel room parties, underground events and bar crawls between friends. But if you're serious about getting in a full Con, I'd caution against overindulging. Even if you can pull off all-nighters at home without feeling much pain, SDCC is a much more demanding experience. You'll be irritable and tired and wind up needing a nap. I've talked before about the year a friend was so hungover we missed all of Sunday, and another time a friend's friend got so high that he got lost and we were looking for him until 3 a.m. It's just not worth it. Save your chemical excesses for home so you can enjoy the Con to the fullest. #9. Prepare mental and emotional resources. Maybe you're sensitive to crowds and noise. Maybe you're traveling with someone whose every word is irritating you. Or maybe the Con isn't at all what you expected and you're on the verge of tears for whatever reason. Make sure you have someone back home you can call and unload on. If you're in therapeutic care and you think the Con might push your buttons, see ahead of time if you can call your therapist. Bring any meds you need. Look up nearby meetings if you're in recovery. I'm sure this all sounds very dramatic but it's really not that uncommon for someone to have a panic attack or feel emotionally isolated. Get help if you need it. If you start feeling exhausted or it's just stopped being fun, cut yourself off from the chaos for a bit. Go hang out in the dark Playback Room or film festival and isolate for an hour or two. Go swimming. Ask everyone to let you have the hotel room to yourself for a bit. If you've got some cash to burn, schedule a massage for your stiff Comic-Con muscles. #11. Take care of your feet. Because you'll be walking a lot, you'll want to wear supportive footwear and have moleskin or band-aids just in case. If your cosplay involves uncomfortable footwear, make sure you give yourself some downtime. And remember that shuttles can cut down on your walking distances quite a bit. When I first started going to the Con, Younger Me would have various escapades all night, return home around 4 a.m., sleep for 3 hours and bounce out of bed ready for the day. And even then, it caught up with me by dinner. Now I try to be in bed no later than 1 a.m. If I'm going to be out super late, I nap first. Obviously this depends on why you're at the Con - if you're there to carouse all night, have at it. But if you're there to actually do panels and compete in gaming tournaments and explore the activities, you'll want to be fairly peppy. And that's my wellness advice. I'm sure it all sounds highly exaggerated to first-timers. But the more you fortify yourself, the better a Con you'll have.